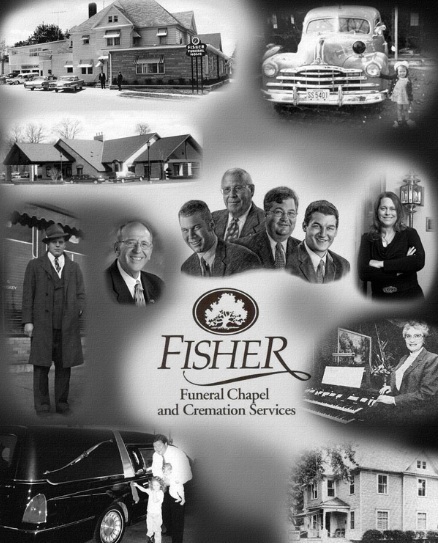 On August 19, 1950, the late John W. and Mary Fisher opened Fisher Funeral Chapel in a newly remodeled home on the corner of West Market & Front Street in Logansport. Starting up a business from scratch wasn't easy. They also operated the county's largest fleet of ambulances, putting in long hours and dedicating their lives serving families as they would want to be served. In 1980, their son, the late John D. "J.D." Fisher, joined the family business after graduating from Vincennes University with a degree in Funeral Service Education. A year later, he and his wife, Dawn, were married and moved into the apartment above the funeral home where they raised their family. In 1990, the couple purchased the family business and started making plans to build a new facility that was not only handicapped accessible but one that would provide a place of beauty and comfort during their clients' most difficult times. The Chase Road chapel was dedicated on April 2, 1995. With an eye to the future, J.D. knew that the much-anticipated Hoosier Heartland highway would link the cities of Logansport and Lafayette into a close social and economic relationship. 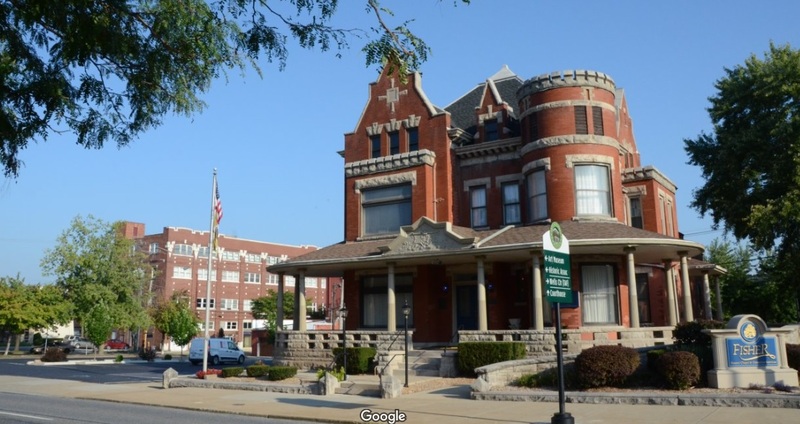 In 2003, one of Lafayette's most beautiful architectural treasures went up for sale. "Castle Cottage," a home built in 1897 by women's suffrage activist Helen Gougar and her husband, attorney John Gougar, had been remodeled as a funeral home in 1924 and had gone through many ownership and name changes. J.D. and Dawn purchased the business from a corporate mortuary chain and promptly set out to show Lafayette the value a family-owned funeral home could have in a community. The Fisher family have worked very hard to restore this building as time and money have allowed. It is a work in progress and a source of great pride. A graduate of Mid-America Mortuary College and a funeral director since 2007, their son. 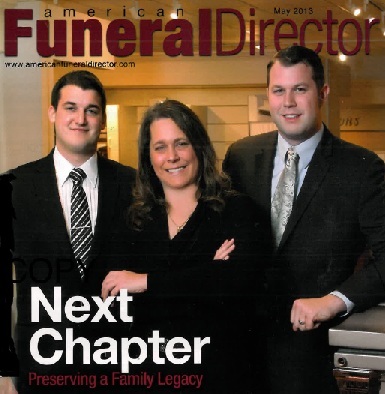 Jonathan Fisher & his wife, Nikki, a licensed preneed sales counselor, are raising their family above the funeral home. Nikki is also employed as the executive assistant at the Lafayette Catholic School System.. J.D. & Dawn's daughter, Sarah, an education major at Purdue, also assists at the funeral home. Following J.D. 's sudden, unexpected death in 2009, Dawn entered mortuary college online while son Jacob Fisher traveled to Worsham Mortuary College near Chicago - both receiving their degrees in 2012. Jacob Fisher resides in Cass County where he serves as a Cass County Deputy Coroner. He also is a licensed preneed sales counselor as well as a certified crematory operator. Jacob also designs custom monuments for the clients we serve in the Cass County area. Dawn Fisher lives in Logansport while the youngest of the Fisher childrens, son Chase Fisher, attends Vincennes University. The staff of Fisher Funeral Chapel are like family. Marvin Griest was recently recognized for 50 years as a funeral director, serving with the Fisher family for 44 of those years. Funeral director Erica Yerkes is the daughter of Dawn's cousin and also the great-great-great-granddaughter of the first undertaker in Walton, William Bishop. The lantern from Bishop's horse-drawn hearse is displayed in the lobby of the Logansport chapel. Melanie Michael-Butler, a licensed preneed sales counselor and the Lafayette office manager, has been officially adopted by the Fisher grandchildren as "Sessy" which means "honorary grandma" in kid language. Advanced Planning Specialist Michelle Kistler coordinates Fisher's preplanning programs as a licensed life insurance agent. Members of our support staff are always ready to be of assistance as we care for families throughout North and West Central Indiana. They include Craig Spurlock, Garrett Bridge, Kristina Del Real, Cathi Collins, Joe Roessel, and Andrew Bonner. The Fisher Family and Staff are active in their church congregations as well as many local boards and organizations where they are not just members in "name only" but are ready to roll up their sleeves and work for the benefit of the community. Professionally, they are members of the Independent Funeral Directors of Indiana, the Indiana Funeral Directors Association and the National Funeral Directors Association.